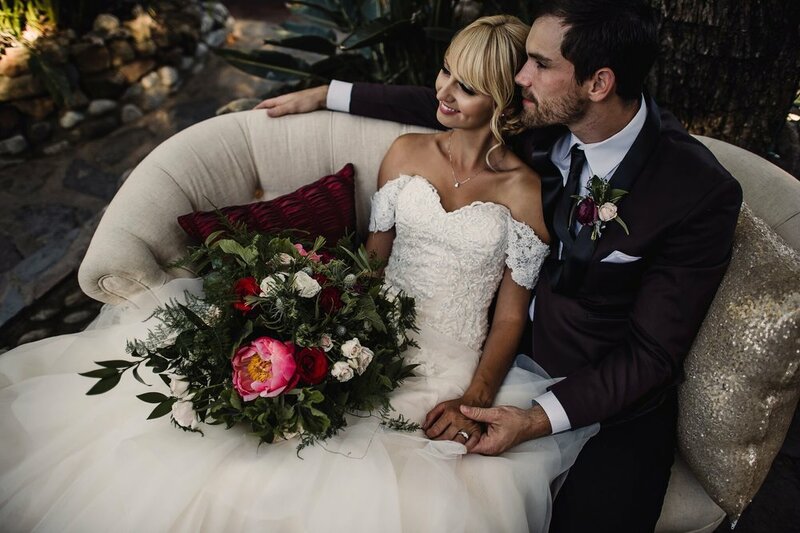 We're thrilled to share our moody, bold and romantic wedding inspiration styled shoot at Saddle Peak Lodge. Designed and planned by Karen Marie Events. we provided the absolute most gorgeous floral arrangements alongside with smoke bombs and oversized balloons. With so many details captured by Michelle Ramirez, we can't wait to share them with you all. 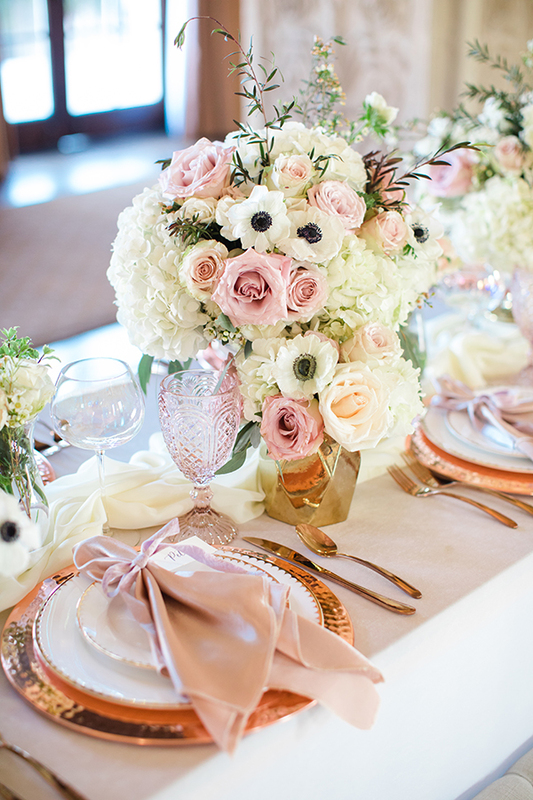 Ventura Rental Party Center provided beautiful furnishing including a settee and romantic tabletop chargers, glassware and more for the reception design. 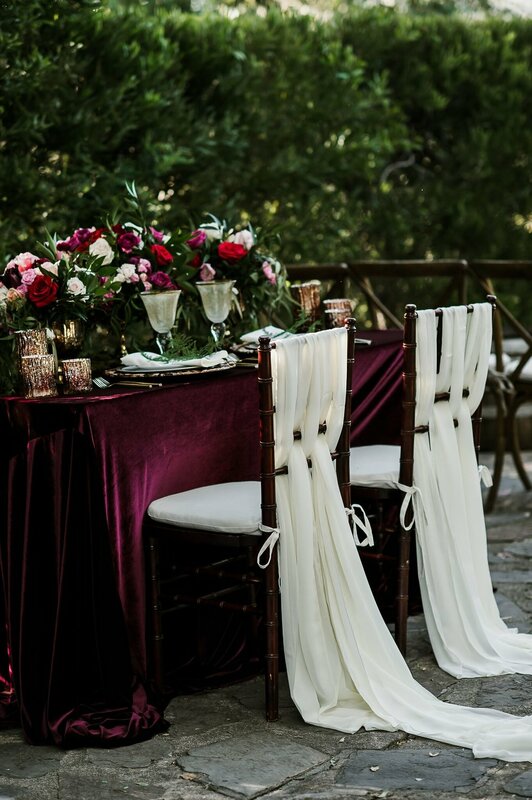 Karen's team added a dreamy, flowy chiffon runner from Dreams America Linens that helped our dark and moody blooms pop against the wooden table. Lastly, details such as handwritten menus from Shelby Creative Design that made us completely swoon were placed on each place setting for a personalized touch. With more than just a reception design, Karen's team designed a full dessert display too. Donut walls are super trendy and always a favorite among guest so one was dreamed up and the team made sure to include a cake by Sugar Lab Bake Shop for the display! A special thank you to Karen Marie Events for having us come together to work hard on this styled shoot with her! Along with Cheek to Cheek Artistry for makeup, Camarillo Bridal Boutique for attire, Wings Jewelry and Gifts for jewelry and Scarlet Walker and Stephan for modeling! 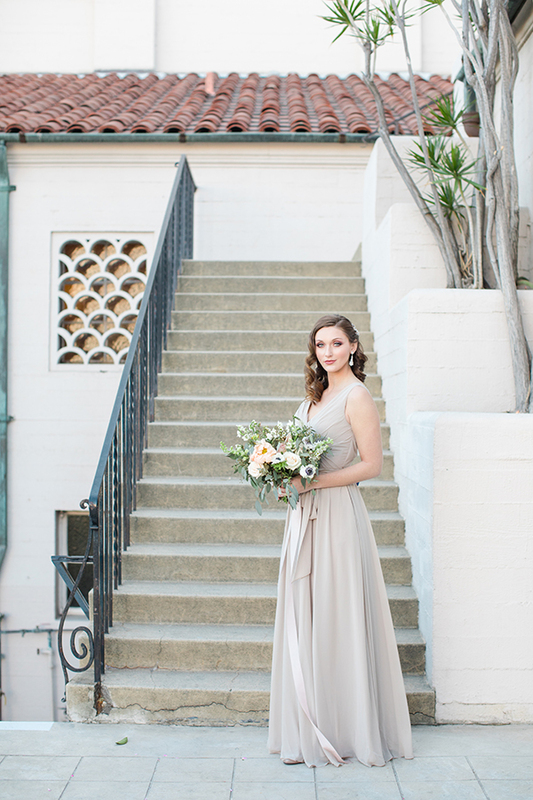 We're so excited to share that our Ebell Los Angeles Styled Shoot was featured on Strictly Weddings! How amazing it is to have two features in the same week! We're super thankful for the creative team we work with and all that they do to create such magic among us. Keep scrolling to see some photos and even an excerpt from our friends at Strictly Weddings! 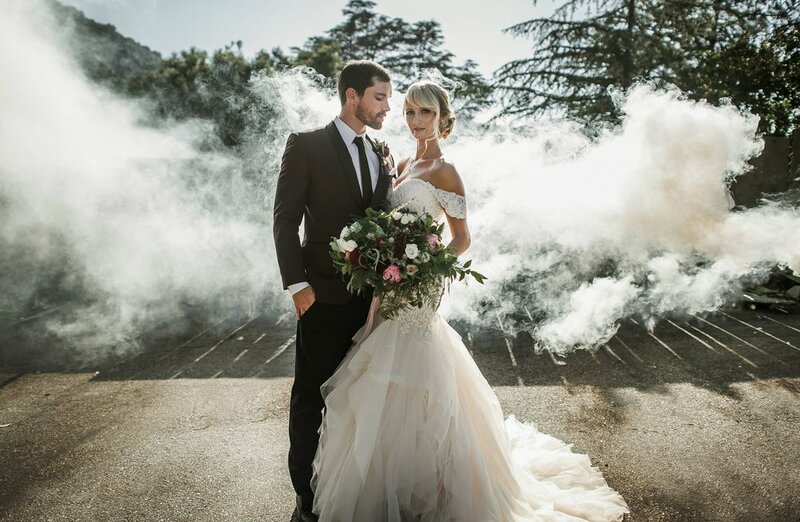 "If you’re on the hunt for ideas that will take your wedding to next level romance, then this editorial at Ebell Los Angeles is about to become your number one. Feast your eyes on this whimsical soft pastel wedding romance that packs a punch of Spring fever with loads of texture. Coordination, design and floral of Burlap & Bordeaux quenches your thirst for all things color with unexpected combinations of muted blush, mauve, metallic and creamy neutrals. At first glimpse this vision comes across sweet and traditional, yet as you take a closer look at all the details that have been careful considered there is a fun modern touch. With the use of varying, fresh spring color blended with soft pastel and loads of texture the scene is not only whimsical but romantic. Details from the hand painted macarons, mini donuts, and extravagant florals stand out immediately. The subtler use of the hammered copper chargers is a fun touch next to the creamy velvet linens. 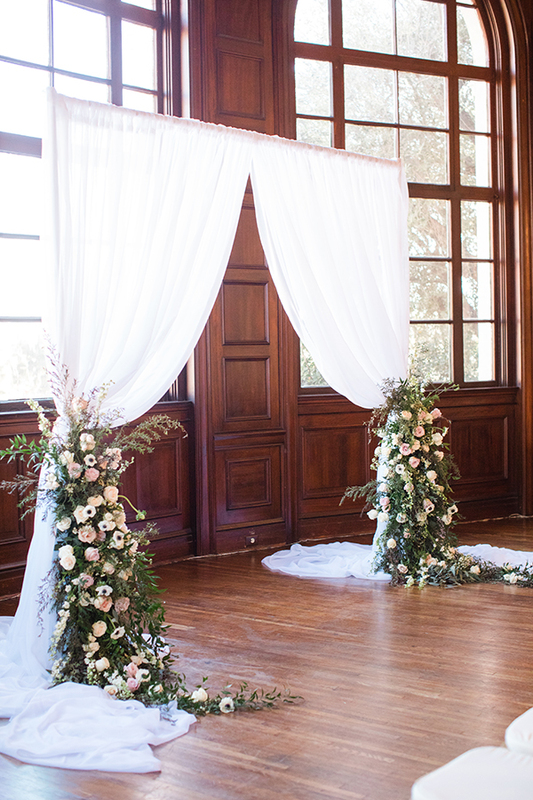 Of course, for this whimsical soft pastel wedding romance to really hit home, a gorgeous backdrop like the Ebell Los Angeles doesn’t hurt either." - Strictly Weddings, see the full feature here.